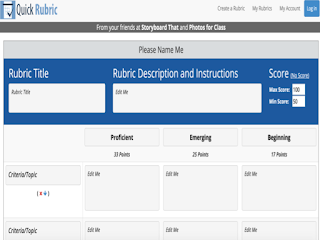 Quick Rubric is a new tool from the folks in Photos for Class. This is a new web based application that allows you to easily set up criterion-referenced rubrics to score your students performances and assignments. You can use Quick Rubric to create rubrics to help you assess things such as oral presentations, writing projects, reading comprehension, storytelling and many more. Rubrics are also proved to be of great help when grading students works especially essay and long narrative writing. The way Quick Rubric works is simple and easy. 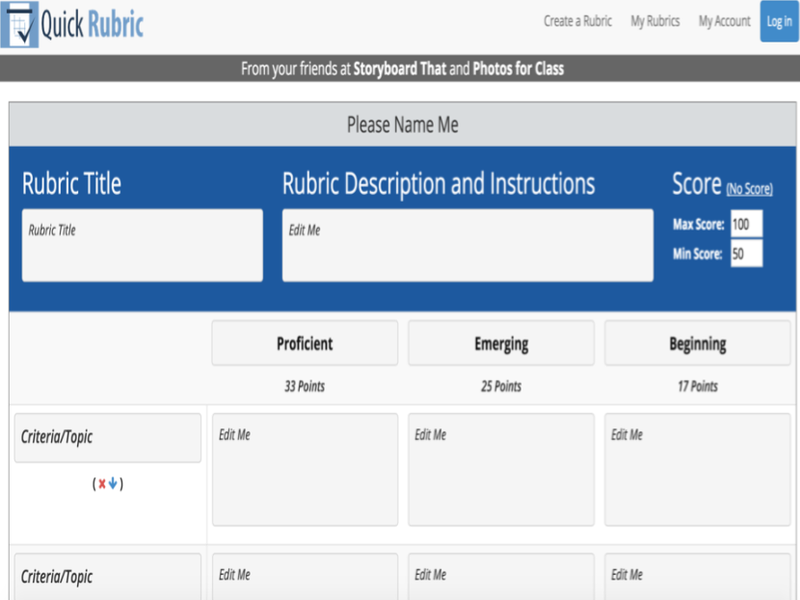 Click on the ‘Create a Rubric’ button and start customizing the rubric form as you want. Add a rubric title and description, identify your maximum and minimum scores, and fill in the criteria section. You can add more columns and rows as needs be. When done, click on ’Save Rubric’ to save a copy of your work. You will need to be registered to be able to save your rubric. Registration is free.